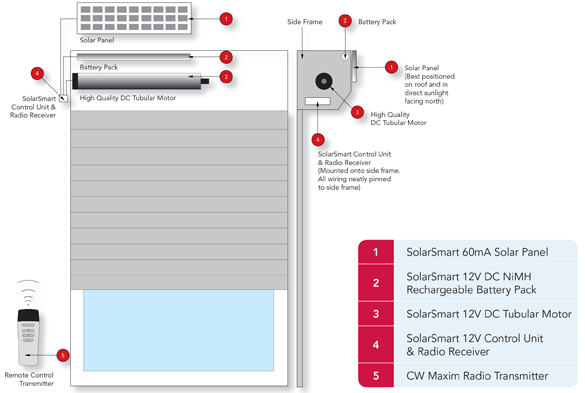 The SolarSmart™ roller shutter automation system is independent of mains power with no hard wiring. It harnesses the sun’s energy, through solar panels ideally positioned on the roof facing north and in direct sunlight. These solar panels charge a concealed battery system that in turn supplies power to a DC motor for roller shutter automation. The SolarSmart™ system utilises the latest in sophisticated electronics to manage the charging of the advanced battery system and is controlled via a specialised wireless remote control transmitter. 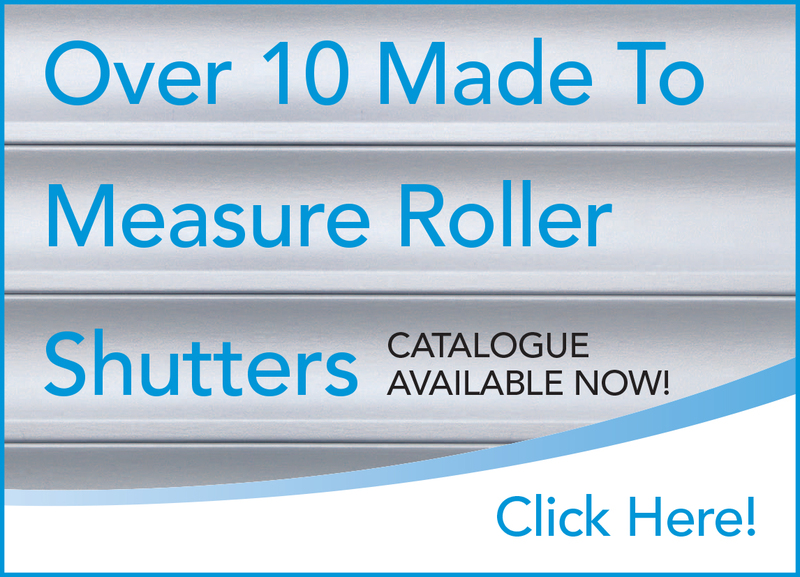 This all means an easier, more cost effective, environmental and efficient way to operate roller shutters. At CW Products we're committed to making life easier for all roller shutter users and protecting our own precious Earth! * Solar panels are only to be positioned on or above the roller shutter if in direct sunlight and facing north, with a minimum of half a day of sunlight in both Summer and Winter. Otherwise for optimum performance, solar panels should be positioned on the roof in direct sunlight and facing north where possible. If not enough direct sunlight, you may require two solar panels to power the roller shutter, or you may need to move the solar panels to a north facing or ideal position, with available extension cables. Green energy & environmentally friendly. Save money on energy costs. No hard wiring or electricians. Save time, money and our Earth.